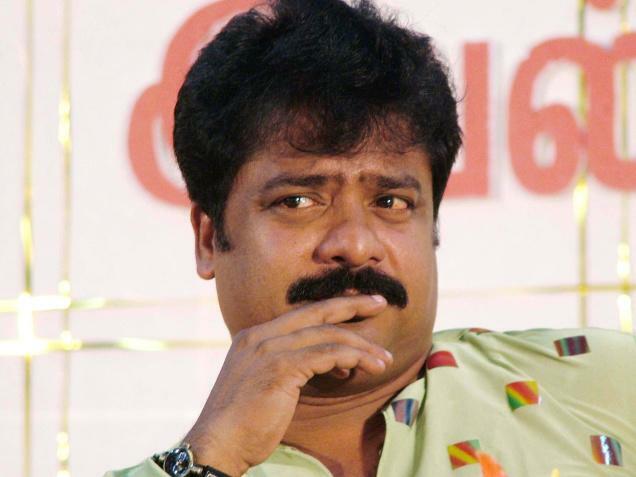 Pandiarajan is an actor who prominently plays supporting and comedy roles. Pandiarajan was one of three children born to Rathnam and Sulochana on October 2 1959. He has two sisters namely, Geetha and Mallika. 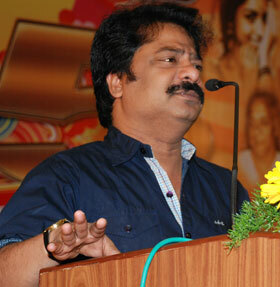 R. Pandiarajan came to the film industry as a homegrown product. He hails from saidapet, Chennai. His son Prithi acted in his direction in the film Kaivantha Kalai. He had also written two books namely Thedal and Thookam Varathabodhu Sindhithavai. He is married to Vasuki and has three sons, Prithvirajan , Pallavarajan and Premrajan. Pandiarajan wanted to act in films. But due to his height and appearance he decided to join as an assistant director. He joined Thamizisai College where he had learnt violin and got his diploma as "Isai Selvam" in 1977. After that he had joined writer Thooyavan as an office assistant. Here he met director K. Bhagyaraj and later joined him as an assistant director. He had become his associate director in Darling Darling Darling and worked till the discussion of Munthanai Mudichu. He got scoldings from bhagyaraj on shooting, a producer saw this and gave him a chance and Pandiarajan told the story of the film kanniraasi to Sivaji ganesan's brother shanmugam he listened to the story and accepted it though financiers refused to buy this film but it was successful at the box-office. His first directorial venture was Kanni Rasi in 1985 starring Prabhu and Revathi. He directed and made his debut as a hero in Aan Paavam. Till now, he had directed nine films, including Kaivantha Kalai, Doubles where he directed prabhudeva in the lead role and acted in some 90 Tamil films and one Malayalam hit Kathavaseshan, where he acted with Dilip. Recently, he is acting in a TV serial called Mama Maaple in Sun TV. His english short film called Help has been nominated at the ArtDeco Film Festival 2011, at Sao Paulo, in Brazil. Help' is Pandiarajan's first short film in English.